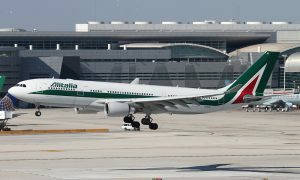 The national airline of Italy today confirmed that its three years business plan was on track to be profitable by 2017. 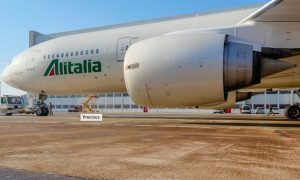 The Chairman of Alitalia, Luca Cordero di Montezemolo, and Vice Chairman of Alitalia and President and Chief Executive Officer of Etihad Airways, James Hogan, today revealed the details of a range of new initiatives that are going to be introduced in the next few weeks. 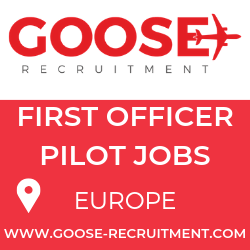 Two new long haul destinations, the first chauffeur service for business travelers, the opening of new VIP Lounges and the refurbishment of the existing one in the airports served by the company, new cabin interiors and Internet and Email connectivity on board, as well as a focus on improving customer service at Fiumicino airport are the highlights that were announced. Chairman Luca Cordero di Montezemolo said “Our performance is in line with the business plan. Not only that, for the first time since 2009, the load factor for the quarter exceeded the 80% threshold and we confirm the objective of reaching profitability by 2017. Vice Chairman James Hogan, added: “Together we have come a long way. Alitalia is ascending but it still has challenges and to maintain momentum we need to accelerate cultural and operational change at every level within the company.